In a large frying pan over medium-high heat, saute the spinach and mushrooms together in 1 Tablespoon butter (or spray the pan generously with cooking spray to avoid the butter) - stirring occasionally - about 4 minutes. Beat the eggs (or egg whites) and milk (or water) with a pinch of salt and a twist of pepper. Stir in the chopped green onion. 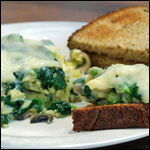 Once the spinach is completely wilted and the mushrooms are lightly browned, pour in the egg mixture. Let the eggs cook about 20 seconds and then begin scrambling. Using a spatula, push cooked portions of egg toward the middle of the pan - allowing uncooked egg to flow out to the hot surface. 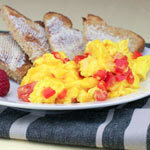 When the eggs are almost completely set, sprinkle cheese over the top. Cover the pan and turn off the heat. 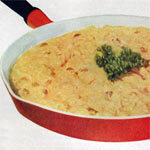 Once the cheese is melted, serve and enjoy. Feel free to add other fresh ingredients... 2 Tablespoons chopped green pepper, 1/4 cup chopped tomato, 1 teaspoon of chopped fresh herbs, etc. 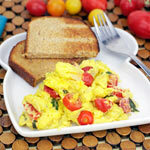 If it grows in a garden (and isn't a flower), it's probably good in a scramble. 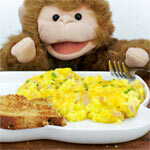 What do you get when toss fresh ingredients in a skillet with some eggs and top it with a little cheese? 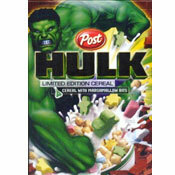 A delicious breakfast every time. 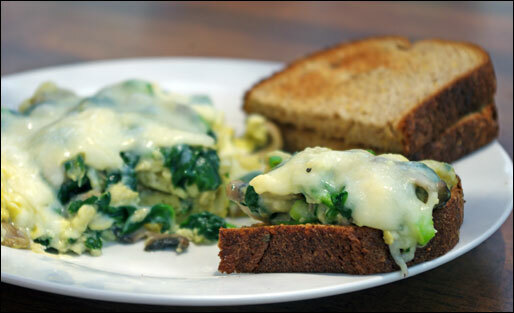 What do you think of Spinach Mushroom Scramble?